After working alongside colleagues on a project sponsored by the BC Teachers’ Federation in Peru last summer, I travelled to the world heritage site of Machu Picchu. Along the way, I found the Wisdom of the Children, known as Irq’i Yachay in the Quechuan language. 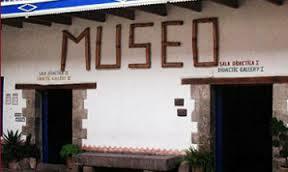 This is the name given to a unique children’s art gallery in downtown Cusco, starting point for tourists heading to the famous mountain ruins. The gallery showcases art created by indigenous children living in isolated mountain communities. These primary-age students are taught by Laura Russell and a staff of about a dozen Peruvian teachers. A film documenting the methodology used and showing the children painting, is also part of the exhibit. “The children manifest cultural messages,” Russell, a professional art teacher and founder of the workshops, says in a telephone interview from her part-time residence in California. “They have their own way of seeing.” She says students’ paintings reflect the wide open spaces of the Andes, the symbolic condor, and their ancient mountain deity. The temporary exhibit I visited proves Russell’s point. Textile art designs filled the walls, painted in vibrant colors. Watching elders weave designs passed down through generations, children are able to express their observations with a paintbrush. Russell says her workshop team does not “teach” art. For example, lessons in perspective are not offered. Instead students learn how to use a paintbrush and to thicken or thin out the paint—and then, without further instruction, they start creating. The team of educators travel throughout the rugged Andes, recruiting volunteers to assist them in selected communities. While the culture of the Quechua people living around Cusco is still remarkably intact, Russell says the children are underserved by the nation’s education system. By using art, Russell says all forms of knowledge can be transmitted to children. “We tell students to create a circle on paper and to divide it into eight parts. Then color what you want,” she says, describing a basic math lesson on fractions. Children can choose a letter of the alphabet and draw a gigantic version of the letter, along with a frame. “Draw pictures of things that start with this letter around the frame,” Russell says, depicting a language lesson. These innovative teachers are now working on integrating their methods into a regional curriculum. “It’s all about working from the ground up,” Russell says. This entry was posted on February 26, 2011 at 2:43 am and is filed under Art. You can follow any responses to this entry through the RSS 2.0 feed. You can leave a response, or trackback from your own site. I would love to learn more about these teaching methods.